Born in Osaka. He studied composition and musical theory to post graduate level at Tokyo National University of Fine Arts and Music. 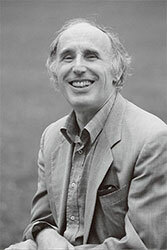 He won; the first prize of composition category at the music competition of Japan in 1994, the first of his numerous later prize winnings at the Queen Elizabeth International Music Composition Competition with HETEROPHONY for string quartet (1975) and the Luigi Dallapiccola Composition Award with MUTAZIONI in 1977, Otaka Prize in 1988, 92, 93, 08 and 11, Kenzo Nakajima Music Award in 1990, Kyoto Music Award in 1991, Contemporary Art Foundation Award in 1994, ExxonMobil Music Prize in 2001, Sadao Bekku Music Award in 2002, the Suntory Music Award in 2004, the 47th Mainichi Art Award in 2005, Medal with Purple Ribbon (Medal of Honor) from Cabinet office, Government of Japan in 2013. In 2002, ‘ARDITTI STRING QUARTET plays AKIRA NISHIMURA’ received Grand Prize and ‘Metamorphosis-Chamber Symphony Works of Akira NISHIMURA’ received Excellence Award of The National Arts Festival in 2005. 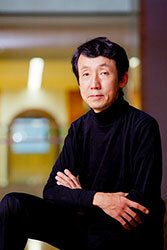 He is appointed as Musical Director of the Izumi Sinfonietta Osaka from 2000. He is a Commenter for NHK – FM radio series about modern music and hosted NHK TV series featured NHK Symphony Orchestra for three years from 2009. 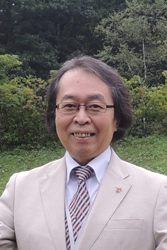 He is Musical Director of Kusatsu International Summer Music Academy and Festival from 2010. He is currently a Professor at the Tokyo College of Music. Born in Bozen, Gemma Bertagnolli was a winner of both the AsLiCo and Francecso Viñas Competitions. Her career has already taken her to major Opera Houses and Concert Halls including the Teatro La Scala, Milan, the Teatro La Fenice, Venice, the Théâtre des Champs-Élysées, Paris, the Rome Opera, the Maggio Musicale, Fiorentino, the Opernhaus Zurich, the Accademia Nazionale di Santa Cecilia, Rome, the Concertgebouw, Amsterdam, the Musikfestspiele Potsdam Sansoucci, and the La Coruña, Pesaro, Salzburg and Wexford Festivals. Her concert repertoire ranges from Bach, Hendel, Pergolesi and Vivaldi to Mozart, the 9th symphony of Beethoven and the 2nd and 4th Symphonies of Mahler. It is above all as a singer of Baroque Music that she is most celebrated. Her operatic repertoire includes Sophie Der Rosenkavalier, Oscar Un ballo in maschera and Nannetta Falstaff. Conductors with whom she has worked in opera and concert include Lorin Maazel, Zubin Mehta, Riccardo Muti. From 2006 she taught “canto barocco” in many italian conservatories. In 2016 she taught in Conservatorio “Giambattista Martini” in Bologna and Conservatorio Statale di Musica “Gioachino Rossini” in Pesaro. From 2011 cooperates at the Hochschule für Künste- University of Art Bremen, holding masters about the Italian pre-classical vocality. She also currently teaching at Vicenza, Conservatorio di Musica Arrigo Pedrollo. In 2011 and 2012 she taught at summer courses of early music in Salzburg – Mozarteum and invited back to hold classes on Haendel’s Opera Alcina in 2017. She periodically holds short masters by many Italian conservatories. She joined Kusatsu International Summer Music Academy & Festival from 2013. In, October 2016, she was part of Japan Orfeo in Tokyo and Kamakura, within the celebrations for the 150 years of collaboration between Italy and Japan. Since 2017, she has collaborated to the creation of the Accademia Vivaldi for the Cini foundation in Venice, where she holds classes. Born in Naples. Studies Piano at the Conservatory of Naples. Diplomas in piano and composition in Milano. Performances in the most important concert halls and festivals in Europe, America, Australia, Japan and China. Piano duo since 50 years with A. Ballista and member of the “Trio di Milano”. Projects with renowned artists like S. Accardo, U. Ughi, L. Harrell, I. Perlman, V. Mullova, P. Amoyal. 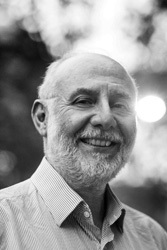 Artistic director of the Giovine Orchestra Genovese, the Campus Internazionale di Musica in Latina. Between 1999 and 2001 head of the music section of the Biennale in Venice. Joint projects, among others, with P. Boulez, L. Berio, Stockhausen, G. Ligeti, B. Maderna, L. Nono and S. Bussotti. Numerous first time performances. Under the direction of Abbado, Muti, Chailly, Sawallisch, Berio, Boulez, he played with world famous orchestras. He was professor for 24 years at the Milan Conservatory, and for 11 years at the Bern Musikhochschule, and now teaching at the Fundacion Instituto de musica de Camara in Madrid. He often invited as a juror in many major competitions in Europe. Released many records and CDs, for instance with Bach’s “Goldberg Variationen” and Debussy’s complete works for piano. He published a book called “Vademacum per il pianista da camera” from Passigli Editor in 1997. He recently recorded the Complete Piano Works by Chabrier with Anima Records in France. Japanese pianist HIROMI OKADA studied at the Toho Gakuen School of Music in Tokyo where he graduated with the Highest honours. 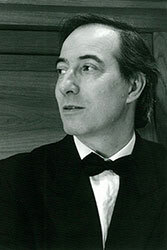 From 1982 to 1984 he won first prizes in three international piano competitions in Barcelona, Tokyo and Pretoria, and then moved to London to study with Maria Curucio before making his Wigmore Hall debut in 1985 and receiving outstanding critical acclaim “undoubtedly a star of the future” (Daily Telegraph). Hilary Finch has commented in The Times, “A technique of massive assurance, imaginatively developed to articulate a passionately engaged musical understanding” Recently, as well as touring extensively in Japan and throughout Europe, he has appeared as soloist with the Philharmonia, Royal Philharmonic Orchestra, English Chamber Orchestra, National Symphony Orchestra, Orchestra de Genova and major Japanese orchestras. Born in Austria, Christopher Hinterhuber studied with Rudolf Kehrer, Avo Kouyoumdjian and Heinz Medjimorec at the University for Music and performing Arts in Vienna and with Lazar Berman at the Accademia “Incontri col Maestro“ in Imola, Italy. He has won numerous top prizes at several international piano competitions in Leipzig (Bach), Saarbrücken (Bach), Pretoria (Unisa), Zurich (Geza Anda) and Vienna (Beethoven) among others. As “Rising Star” 2002/03, he performed with violinist Patricia Kopatchinskaja at the Carnegie Hall, New York and in other important musical centers in Europe. Since then, his performances and recordings brought him international recognition and regular invitations to festivals as the Salzburg Festival, Ruhr Piano Festival, Mozart week Salzburg, Enescu Festival Bucarest, Lockenhaus Chamber Festival among many others. 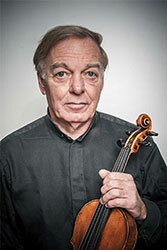 Beside his extensive activities as soloist in recitals or with orchestras with conductors as Vladimir Ashkenazy, Jakub Hrusa or Sylvain Cambreling he is a distinctive chamber musician, for instance as member in the internationally renowned Altenberg Piano Trio or the newly formed piano quintet ‘Philharmonic Five’ with members of the Vienna Philharmonic. He often gives master classes in Europe, Asia and New Zealand and is professor for piano and currently head of the piano department at the University for Music and Performing Arts in Vienna. Studied at the Tokyo University of Fine Arts and Music and received M.A. degree. Made her debut performance with the music of Toru Takemitsu in postgraduate student period. Held the first solo recital in 1970 and showed her enthusiasm and critical acclaim as an interpreter of new music by such composers as Messiaen, Boulez, Xenakis, Takemitsu, and others. Since her debut, she has been invited regularly and worked globally at the Music Festivals such as the Berlin Festival Week and Paris Autumn Festival in 1972 and made an ensemble “Sound Space ARK” and performed contemporary music actively. Her series of E. Satie concerts (1975-1977) conceived and produced by Kuniharu Akiyama, as well as her recordings and her own editing of complete piano works of E. Satie triggered a “Satie boom” throughout Japan. In 1980, she was invited by Morton Feldman to become a Creative Associate of “The Center of the Creative and Performing Arts” at the State University of New York at Buffalo. Her collaboration with Feldman to his death in 1987 has resulted in performing his music around the world and also of recordings. 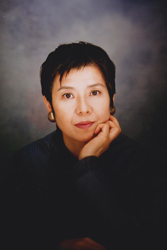 She won the Kenzo Nakajima Prize (1983 & 2003) and the Kyoto Music Award (1986). She was the director of the “New Ears” concert series in Yokohama (1983-1997). And in spring 2006, she was invited to Maerz Musik Festival in Berlin and performed 5 concerts. And in the fall the performance of Morton Feldman’s pieces has been evaluated as one of the “Best Concerts of the Year” by the New York Times. The first CD of “The Hyper Beatles” has been selected by the New York Times as one of the “Best CDs of 1990”. In 2007, awarded the 58th “Art Encouragement Prize” by the Minister of Education, Culture & Science for the recordings of “Schubert Piano Sonatas” and the concert “Morton Feldman TRIO”. In 2008 won the Merit Prize at the Japan Art Festival for her CD “The Perilous Night -Aki Takahashi Plays John Cage”. Awarded the Purple Ribbon in autumn 2011. And in 2014 she was awarded Asahi Contemporary Music Award. 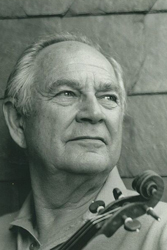 Received his first violin lessons from his father, and studied further with Walter Davisson and Martin Kovacz. At 18 he became the Concertmaster of Berlin Philharmonic Orchestra. As professor he taught at the Musikhochschules in Berlin (UdK) and Cologne. As soloist he plays worldwide with renowned orchestras and with conductors such as Solti, Boulez, Dohnanyi, Inbal, Gielen, Salone, Bertini, Eötvös, Nagano. Besides his classical programmes his main concern is contemporary music and chamber music. He has played many works by composers like Ligeti, Boulez, Kagel, Maderna, Rihm, Yun and Schnittke. In 1992 he played in Cologne, with great success, the world premiere of Ligeti’s completed Violin Concerto with the Ensemble Modern, and in 1993 the American premiere with the Los Angeles Philharmonic Orchestra conducted by Salonen. Since then he has performed this concerto approximately hundred times with the world-famous orchestras. Gawriloff was awarded several international prizes, i.e. the Paganini prize, the “Best Chamber Music Performance” at the Grammy Awards in 1998. Records are on DGG, Sony, Wergo, Tudor, Schwann, Koch. Every year he gives masterclass at Carl Flesch Academy, Baden-Baden, Germany. Born in Vienna in 1943. He studied the violin at the Vienna Academy of Music under Prof. Franz Samohyl where he graduated from at the first on the list. Engaged with the Vienna Philharmonic Orchestra as a first violinist in 1964, when he formed the Vienna String Quartet together with the members of the orchestra and appeared at concerts of the Musikverein in Vienna, etc. The Vienna String Quartet began recording for RCA and Camerata Tokyo in 1973, and since then left almost 50 recordings including Schubert’s “Death and the Maiden” which won the Record Academy Award in Japan. The great success of their performance owes much to Hink’s solo violin. 1974 to 2008 he was the first Concertmaster of the Vienna Philharmonic Orchestra. He is the leader of the Vienna String Quartet and the Vienna Octet. 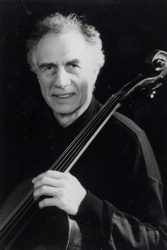 In 1982, he was installed as a professor at the Vienna Conservatory succeeding Prof. Samohyl. Born 1962 in Vienna. Since 1989 Principal concertmaster at the Bavarian State Opera in Munich after the same position at the Vienna Symphoniker. He studied at the Music University in Vienna with G.Pichler, and took further lessons with M.Rostal, N.Milstein, O.Shumsky and S.Vegh. 1985 he established the piano trio “Beethoven Trio Vienna” and toured through Europe, Japan, Canada, Mexico and the USA. As a soloist and chamber musician, he gave concerts with the “Alban Berg Quartett”, W.Sawallisch, Sir C.Davis, Z.Mehta, M.Viotti, P.Schneider, K.Nagano, I.Bolton and Ph.Entremont. Many CDs for EMI, JVC, Camerata, Farao Classics and triptychon. 2012 he won the “ECHO Klassik” Price. 1997-2002 he regularly appeared as guest leader of the London Symphony Orchestra. 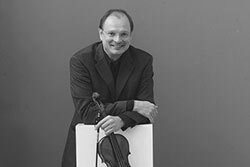 He has been teaching at the Vienna Music University (1983-1989) , at the Munich Richard-Srauss Conservatory (2000-2008) and has been D.Zsigmondy´s successor at the Musikhochschule Augsburg (2005-2008). Since 2008, he is teaching at the Musikhochschule Munich. Markus Wolf plays the “Vollrath-Stradivarius” from 1722. Studied violin under Arnaldo Apostoli at the F. Morlacchi Conservatory in Perugia and graduated there with the maximum number of votes and rave reviews. He went on to the Academy of St. Cecillia in Rome, where he studied with the prestigious teacher Pina Carmirelli. Dedicating himself largely to chamber music, he studied with Riccardo Brengola and Franco Rossi. At the same time, he began playing chamber music in concert with the piano or other instruments. In Italy he has played for prestigious concert societies and recorded extensively with RAI. Outside Italy he has played many concerts in Germany, Austria, Romania, Spain, Mexico, Egypt and Greece, winning high praise from both critics and audiences. He was Concertmaster and producer of a string orchestra, “Sinfonia Perusina”, and the Symphony Orchestra of Umbria. He is now a professor in the violin department of the F. Morlacchi Conservatory. He plays a precious Marino Capicchioni, generously donated by Pina Carmirelli. Robert Bauerstatter was born in Linz, Austria, in 1971. He recieved his first musical education at the Musikvolksschule in Leonding, then later at the Music School and the Bruckner Conservatory in Linz. 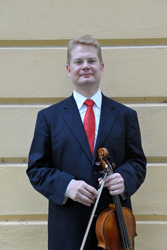 In 1989 he began his viola studies with Professor Siegfried Führlinger and Professor Peter Ochsenhofer at the Universität für Musik und Darstellende Kunst in Vienna and graduated with distinction in 2000. From 1998 until 2001 he was a member of the Tonkünstler Orchestra, in 2001 he won the audition for a spot in the orchestra of the Vienna State Opera, 3 years later he became a member of the Vienna Philharmonic Orchestra and was appointed section leader.He is also a passionate purveyor of chamber music. He has appeared with several chamber music ensembles of the Vienna Philharmonic, such as the Küchl Quartet or the Wiener Kammerensemble. He is a member of the Lissy-Quartet, the Ignaz-Pleyel Quartet and the Theophil Ensemble. He has played numerable concerts on TV and radio as well, and has recorded 15 CDs. As soloist he appeared with many Austrian orchestras, also the Philharmonic Orchestras of Sofia, Plovdiv and Varna or the Orquestra Filarmonica de la UNAM in Mexico City. He has performed the works Karl Stamitz, F.A. Hoffmeister, Paul Hindemith, Bohuslav Martinu, Max Bruch, Hector Berlioz and Ignaz Pleyel. His recording of Ignaz Peyel’s Viola concerto was released in 2015. He performs on a viola by Stephan von Baehr, made in 2002. Started his career as prize-winner of the International Music Competition, Munich. He played with many important orchestras and in the centers of the musical world (Carnegie-Hall, New York, Tschaikovsky-Hall, Moscow, Bunka Kaikan, Tokyo, Berliner Philharmonie), and with conductors as Herbert von Karajan, Sergiu Celibidache, Seiji Ozawa, Daniel Barenboim and others. Yehudi Menuhin, Witold Lutos- lavski and Dietrich Fischer-Dieskau had a deep influence on him as an artistic personality. Up to summer 1976 he was solo cellist of the Berlin Philharmonic Orchestra. He left this position to devote exclusively to his career as a soloist and chambermusic player and overtook a professorship at the Berlin Universität der Künste. He made first performances of Lutoslavski, Dutilleur, A.Reimann, Klebe and others. Many excellent young cellists come from his class of Universität der Künste. 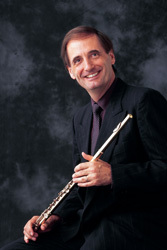 Dieter Flury was born and brought up in Zurich (Switzerland) and studied with Hans Meyer (Principal Flute of the Tonhalle Orchestra Zurich), André Jaunet (at the Zurich Music Academy) and Aurèle Nicolet. In addition to his flute studies he graduated in mathematics at the Federal Institute of Technology in Zurich. At age 25 he was appointed a member of the Vienna State Opera Orchestra and in 1981 he was named Principal Flute of the Vienna Philharmonic Orchestra. 2005-14 he was also the Artistic director and General Manager of Vienna Philharmonic. 2017 he retired from the orchestra. In demand as a teacher Mr.Flury is a professor at the University of Music and Performing Arts in Graz (Austria) where he has been teaching since 1996. His numerous recordings have featured a wide range of composers from Baroque to contemporary. Dieter Flury has performed as soloist with the Vienna Philharmonic, the Vienna Symphonic, the Zurich Chamber Orchestra, the New Japan Philharmonic, Beijing Symphony Orchestra, Tokyo Symphony and others in collaboration with conductors such as Claudio Abbado, Daniel Barenboim, Pierre Boulez, Valery Gergiev, Zubin Mehta, Roger Norrington and Edmond de Stoutz. He worked with composers including Pierre Boulez, Beat Furrer, György Ligeti, René Staar, Salvatore Sciarrino, Herbert Willi and Hans Zender. Mr.Flury is playing a handmade 14k golden flute by Yamaha. Born in Bern in 1951, Thomas Indermühle is the scion of a Swiss family of musicians. He studied with Heinz Holliger at the Staatliche Musikhochschule in Freiburg in Breisgau, and with Maurice Bourgue in Paris. Afterwards, he spent several years as solo oboist in the Netherlands Chamber Orchestra and the Rotterdam Philharmonic Orchestra. In 1974 he was awarded a prize at the International Competition in Prague, and in 1976 he won the International ARD Competition in Munich. Since then, he has appeared as a soloist in almost all European countries, in the USA, Canada, Mexico, Japan, Korea and Australia. Leading composers as Manfred Trojahn, Wolfgang Rihm and Akira Nishimura have written oboe concertos for Thomas. Of great importance to him are also his “Ensemble Couperin”, his activity as a conductor, and his work with his students. 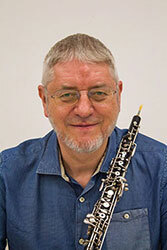 Indermühle has been responsible for an oboe class at the Zürich Conservatorium ZHdK since 1984, and in 1989 he was appointed professor at the Staatliche Hochschule für Musik in Karlsruhe. He has recorded for Philips, EMI, Novalis and Camerata Tokyo. 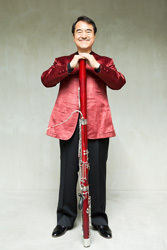 Koji Okazaki started playing bassoon at the age of sixteen. After he graduated from Musashino Academia Musicae in 1972, he won a position at Tokyo Symphony Orchestra. He won the 2nd prize at the 42nd Music competition of Japan (NHK, Mainichi Classic) in 1973. In 1974, he entered Nordwestdeutsche Musikakademie Detmold in Germany as the Deutsche Akademische Austauschen Dienst Fellowship student. He studied bassoon with Prof. A. Hennige and Prof. H. Jung, Chamber Music with J. Michaels, H. Winschermann, P. Meisen, and T. Varga, and graduated at the top of his class from the school in 1976. His wind trio with Fumiaki Miyamoto (Ob.) and Masaharu Yamamoto (Cl.) won the 2nd prize of wind trio category at the 9th International Chamber Music Competition in Colmar, France. 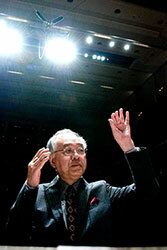 After finishing ‘Konzertexamen’ in 1978, he joined as a principal bassoonist at NHK Symphony Orchestra. His collaboration of performance has been extended to outside and inside of Japan. 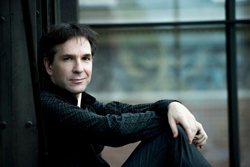 He has appeared on TV shows, radio, working as soloist, performing concertos and chamber music. He received the 16th and 22nd Arima Award, released solo album ‘Burlesque’ and others. He has been participating Kusatsu International Summer Music Academy and Festival since the second year (1981). He is a former principal bassoonist of NHK Symphony Orchestra, former guest professor of Tokyo University of the Art and currently is a professor at Musashino Academia Musicae and a part-time instructor of Elisabeth University of Music. He also is a Chief Director of Japan Bassoon Society. Kateřina Javůrková began playing horn at the age of nine with Tomáš Kreibich and continued at the Prague Conservatory with prof. Bedřich Tylšar. In 2016 she successfully graduated from the Academy of Performing Arts in Prague (in the class of Zdeněk Divoký and Radek Baborák). During her studies she has passed an intership on the Conservatoire National Supérieur de Musique et Danse Paris in the class of prof. André Cazalet. 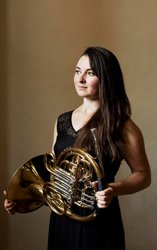 She is a winner of a number of international competitions, among them the „Federico II di Svevia“ competition in Italy (2011), International Horn Competition of the festival Moravian Autumn (2011) and the International Brass Competition in Brno (2013). Her latest and most significant success is the 1st prize and title of laureate on the prestigious Prague Spring International Competition 2013 and International ARD Competition in 2016. In January 2017 she became one of the first holders of the new Prague Classic Awards. In 2016 she was admitted into the Czech Philharmonic and is a founding member of the Belfiato Quintet ensemble, which was awarded a 3rd prize on the 6th International Wind Quintet Competition in Marseille, France (2011). As a soloist she has appeared with the Czech Philharmonic Orchestra, PKF – Prague Philharmonia, Münchener Kammerorchester, Symphonieorchester des Bayerischen Rundfunks, NOSPR Katowice etc. 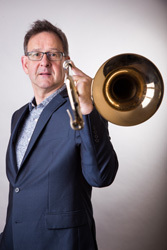 Born in York, England in 1964, Ian Bousfield is one of the most influential and successful trombonists of our time. After having won the London Symphony Music Scholarship aged fifteen for European Communities Youth Orchestra under C. Abbado. After five years in the Hallé Orchestra, Ian became Principal trombone of the London Symphony Orchestra in 1988 aged 23. His playing is heard on hundreds of recordings, including many film soundtracks while he was in LSO. In 2000, Ian took and won the audition to become Solo Trombone with the Vienna Philharmonic and the Vienna State Opera, a job which he held until 2012. As a soloist Ian has played with many orchestras and brass bands, highlights of which were with the LSO and the Vienna Philharmonic under R. Muti, M. T. Thomas, K. Nagano, Sir N. Marriner, I. Marin, and T. Otaka. He has appeared as soloist with all of the most famous brass bands as well as the US Marine Band and Kosei Winds in Japan. He has many solo recordings to his name from EMI, Chandos, Camerata and Doyen. Currently, he teaches at Hochschule der Künste in Bern, Switzerland, and is a member of staff at the Royal Academy of Music in London. Recent projects have included appearing as conductor and soloist with the brass sections of the New World Symphony, Danish Radio Symphony, Royal Danish Opera, Oslo Philharmonic, Bern Symphony and others. Ian plays on the Getzen “4147 Ian Bousfield” trombone. He was recipient of the International Trombone Association lifetime award in 2012. Studied under W. v. d. Pol at the Morlacchi Conservatory of Music. He then specialized further with J. Uriol, M. Radulescu and M. Morgan. He also studied harpsichord with A. Conti at the G. B. Martini Conservatory in Bologna. He carries out intense concert activity as a harpsichordist, organist and conductor. As a soloist his repertoire of interpretations is extensive; from Bach and Haydn’s concertos to the works of De Falla and F. Martin, Mozart’s church sonatas and organ concertos of Bossi and Poulenc. For many years a composer himself, he takes particular note of the music of this century, collaborating with both Italian and foreign composers. Of these a number have dedicated pieces that he gave world premier performances. His discography ranges from the late Renaissance to the present day. He is active also as both a musicologist and an Organologist. Since many years he is committed in research and performances involving the so-called Hybrid Keyboard instruments, such as the Claviorgan, the Harmonium-Celesta, and the Harmoniumklavier. He is professor for organ and organ composition at the Conservatorio di Musica “Stanislao Giacomantonio” in Cosenza. He gives master classes throughout Spain, Italy, Germany and Japan. He is also working diligently to research for the Claviorgan, the Harmonium-Celesta, and the Harmoniumklavier. His collection of early keyboard instruments ranges from Hammerklavier to harmonium, from harpsichord to Pedalpiano. Formed in 1968, while its members were still students at Prague Conservatory. 1975 won 1st prize at the Prague Spring International String Quartet Competition. Since that times the Quartet has achieved international fame progressing from one triumph to another. The Quartet has participated at important international festivals as Edinburgh, Salzburg, Prague, Kusatsu, Menton, Dubrovnik, Tel Aviv, Kuhmo and Mondsee. In 1976, awarded the Bordeaux Gold Medal and in 1982 came a Supraphon Gold Disc.1983 the Grand Prix Academy Charles Cros was received in Paris for the recording of Martinů’s Quartet Nos. 4 and 6. 2008 the MIDEM Cannes Classical Awards were awarded for the recordings of Dvorak’s quartet No. 10 and the Cypresses. Panocha Quartet places particular emphasis on Czech music, especially the works of Smetana, Dvořák, Janáček and Martinů. 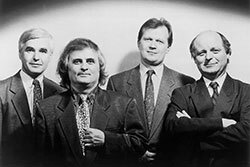 The Quartet follows the great Czech string quartet tradition, founded by the České (Bohemian) Quartet and continued by the Smetana, Janáček and Vlach quartets. Fumiaki Kuriyama (b.1942) is one of the most active and famous choral conductors in Japan.He has gained his reputation by excellent performance of contemporary Japanese works, his energetic commission activities, and his phenomenal marks in the All JApan Chorus Competition. He was awarded the Grand Prix in Tolosa International Choral Contest (Spain) in 1994, and European Grand Prize of Choral Chant at Arezzo (Italy) in 1995, with Coro Kallos. He was invited to the Oregon Bach Festival (USA) in 1992, to Polyphonic Choir Meeting in Citta di Fano (Italy) in 1993, to the third World Symposium on Choral Contest in 1998 to sit on the jury. Now he is a professor at Musashino Academia Musicae.